This hydrotherapy technique works for flu symptoms, earaches, soar throats, sinus infections, cold symptoms, upper respiratory infections and anything else related. Make sure that you are comfortably warm, dressed in something you will be going to bed in. 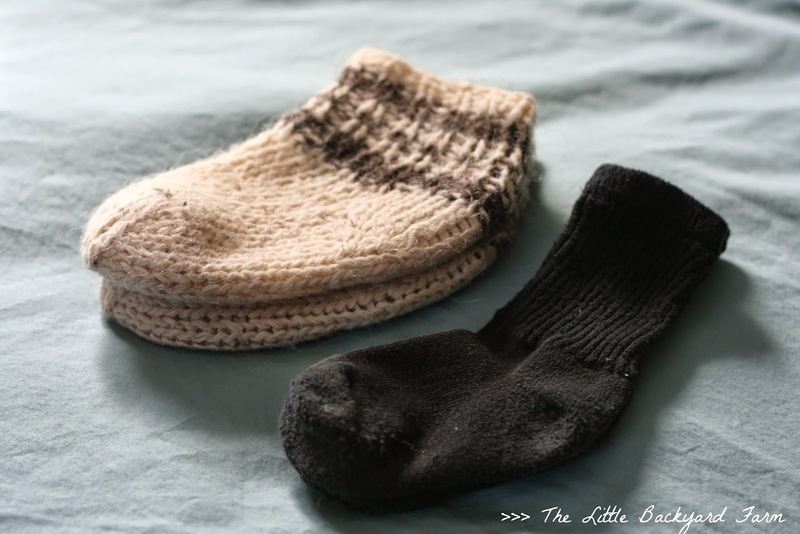 Prepare the COTTON socks by soaking them in very cold water. Then put your feet in warm water. The water should be as hot as you or your child can handle. Soak your feet for about 10 minutes. The trick is you don't want the water to cool down so don't stay there longer than 10 minutes. Then pull your feet out and right away dry them with towel. 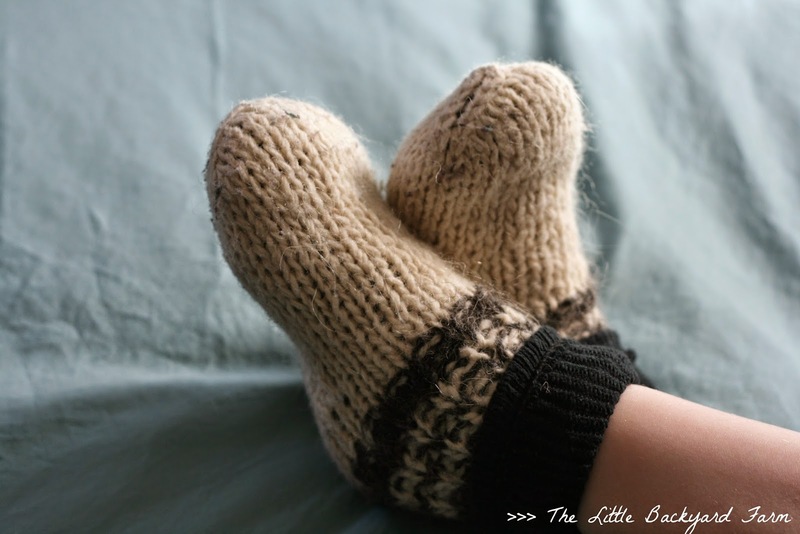 Squeeze all the water out of the cotton socks (very cold/freezing) and put them immediately on your nicely warmed up feet. Put dry wool socks over them and make your way to bed right away. Avoid getting chilled! Keep the socks on overnight, you will find the wet socks dry in the morning. 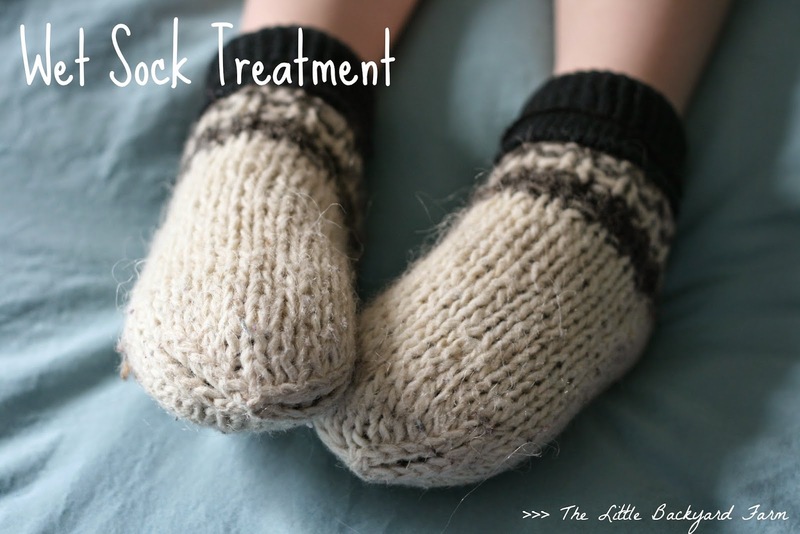 So how does the wet sock treatment actually work? Instead of medicine, your body is doing all the work in healing your symptoms. As your feet cool down, the veins constrict and send good nutrients into your body. And as your feet start slowly warming up, the veins expand and the bad stuff is disposed off by your body. The alternation of hot and cold stimulates your circulation and puts your immune system into a hyper active mode. As an immune system boost during the time of sickness I always use echinacea tincture for the whole family.